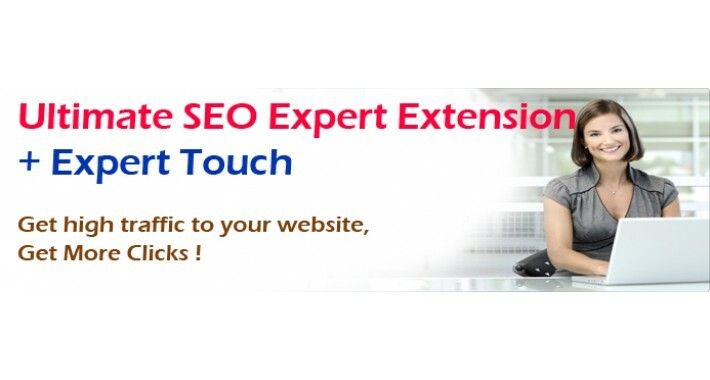 This extension Ultimate Search Engine Optimization (SEO) Expert is developed by team of SEO Experts having 5+ years of experience in developing Search Engine friendly websites. These experts know the hacks to bring your website to the top pages of popular search engine like Google, MSN, Yahoo, Bing, Ask. This extension has been developed considering all the best SEO practices and involves deep analysis of popular ecommerce sites like Amazon, Overstock, Ebay, etc.. This extension offers more than 45+ small extensions which all put together costs more than $300 USD, but it is now available at a very reasonable affordable price without compromising quality, which no other extension offers. This extension developed using intelligent algorithms in order to give you the best performance and it is very easy to use. Drive traffic to your website and reach millions of customer. Put your business on the top of Search Results with Search Engine Optimization. - We will completely look into your site and analyse for the best possible SEO practise so that your website get listed properly in top pages of major search engines.